With increasing costs and a need to determine greater accuracy in its billing, Power Waste Management looked to weight-based billing to reduce overloaded bins. As the price of landfilling increases, businesses are becoming increasingly conscious of ensuring they have accurate weights and not overloading their bins as a result. That’s according to Noel Mancuso, Advisor at the Sutherland Shire-based collection service Power Waste Management, who says that many of his customers are not aware of how much material can be recycled. With a fleet of five trucks, Power Waste Management provides front and rear-lift bin services for a range of businesses in the Sydney area, including hospitality, retail, construction and medical companies, handling their general, recyclable or bulky waste. To accurately understand how much to charge their clients, the company installed two Loadrite weighing systems last year. “We installed the Loadrite system to ensure customers that are overloading their bins understand more about how they can manage their waste and to further discuss potential recycling opportunities,” he says. 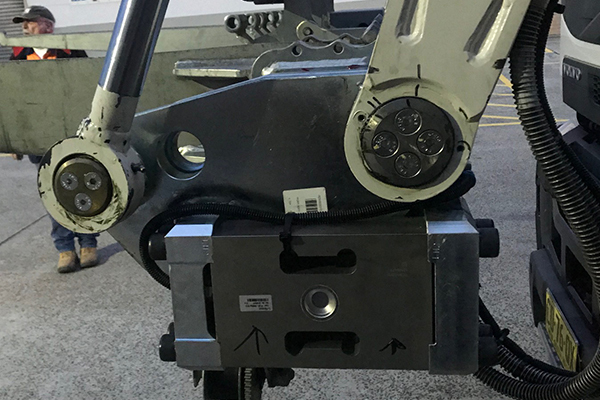 The Loadrite system uses solid-state position sensors to continuously track the position of the lift arms to get an accurate reading of the weight of every bin lifted. It also includes an auto-add mode, which adds each bin to the total weight of the payload along with customisable numeric fields for details such as customer identification, number and bin size. By monitoring the weight of the total payload, Power Waste Management is able to enforce overloading regulations and let drivers know when a vehicle has reached its legal capacity. Noel says this information helps reduce maintenance costs in the long term and is important for accountability under the new Chain of Responsibility laws. “In today’s environment, you need to make sure your payload is legal at all times. The Loadrite system is able to perform the extremely important task of informing the driver of how much weight they are carrying at all times,” he explains. Since implementing the system, Noel says there has been an increase in productivity and cost efficiency from the streamlining of the weighing process and the reduced amount of labour required. Noel adds that the system is easy to use for drivers, with a simple interface that can be connected to most onboard computers. One aspect that Noel says has been outstanding is the after-sales support from Loadrite. “There is an excellent relationship between the two companies, and the team at Loadrite is always quick to ensure our vehicles’ scales are calibrated correctly,” he explains.